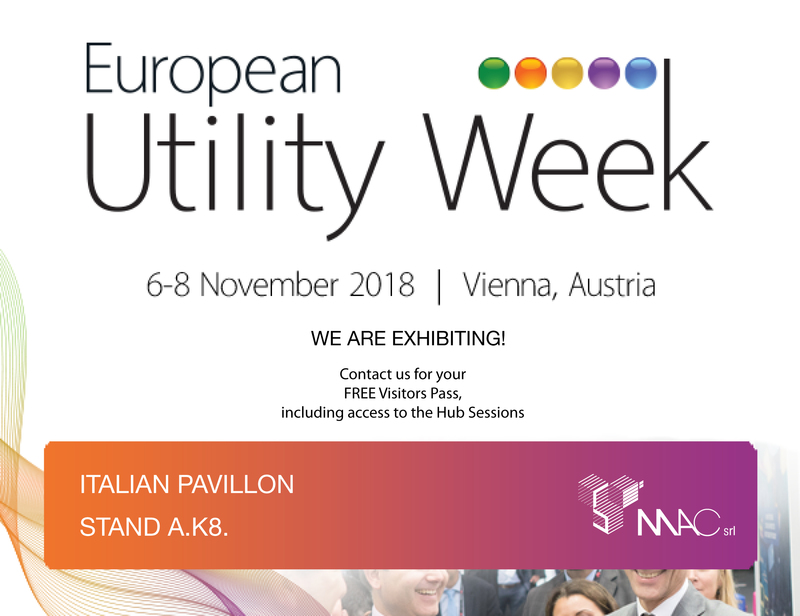 MAC is very pleased to announce its participation in the upcoming European Utility Week Trade show in Vienna from November 6th to 8th. EUW 2018 is in its sixth edition and represents the most important European event for the Utilities of gas, water and electric energy. EUW facilitates networking and content sharing opportunities across the entire energy spectrum from latest generation in energy to end the user. MAC will be present in the Italian Pavilion (stand A.k8), organized by ICE, the agency for the internationalization of Italian companies. The aim is to promote companies involved in the Smart Energy and Energy Awareness market. In fact, MAC will be presenting Chain2Gate, the innovative, intuitive device which communicates with the Open Meter 2.0 by e-distribuzione. Through Powerline Technology, the device acquires data directly from the Open Meter, enabling users to monitor, manage and plan energy consumption. Chain2Gate is compact, connected and yet compliant with the IoT ecosystem.